It’s that time of year again! The time where the weather starts heating up and the festivals begin. Coachella is here which means there’s going to be a million chances for that perfect photo (I mean the ferris wheel, hello!) all weekend. But what’s the perfect photo without a perfect caption? 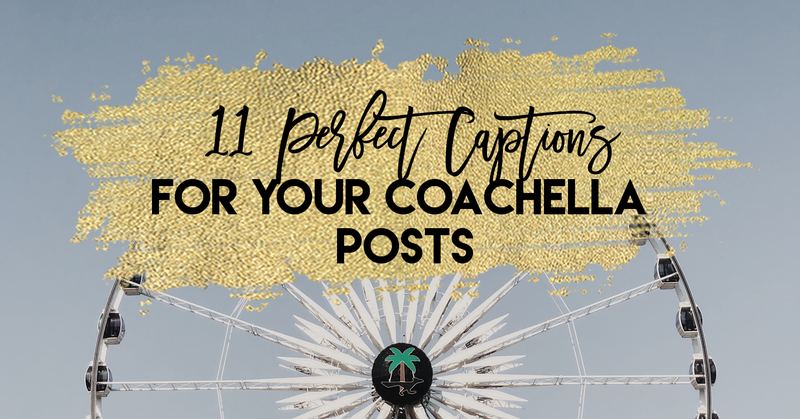 Whether you’re attending weekend 1 or 2 we put together 11 captions that you can use while you’re at the festival or throughout next week while you’re reliving the moments from the weekend.